Gemma Banks, our Head of Creativity, designs her dream events, if money was no object. January is the time of year we look to new beginnings this dream dinner is all about the joyful celebrations of Chinese new year. A party painted in red…a symbol of energy, happiness & good luck…things this dinner with exude in bundles. 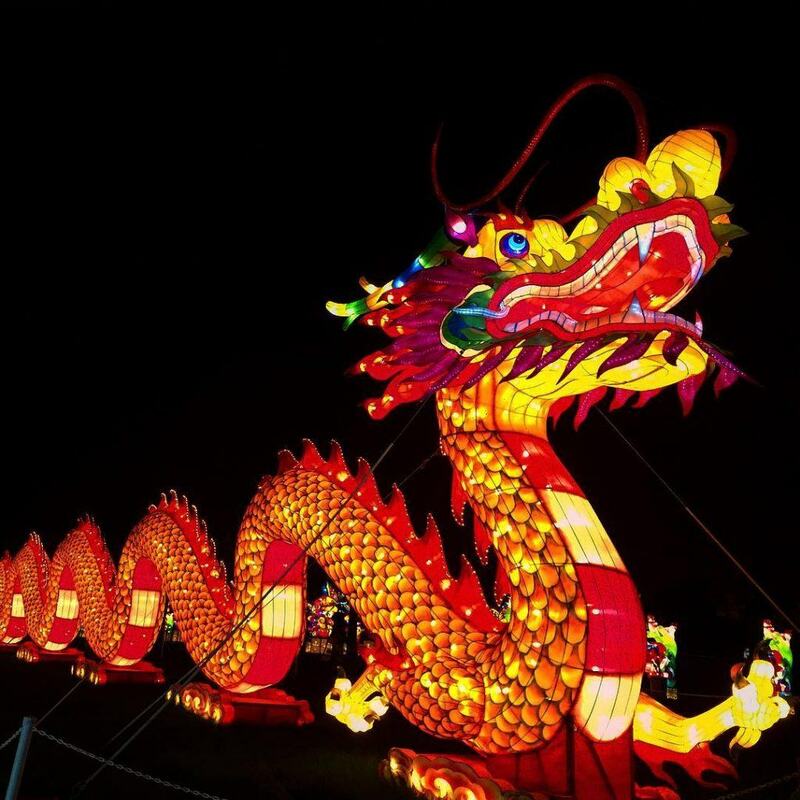 Held at the Grade II listed Roundhouse, guests will be asked to gather on the venue’s front steps on arrival, where a spirited Chinese dragon will greet them. Dancing and delighting, the dragon will guide the guests into the dazzling space under the dome of the main space. Looking up, the dome will be decorated with countless hanging scarlet Chinese lanterns, and fluttering blue & white willow pattern fabric will hang between the large metal pillars, turning the space into an intimate dinner setting. With a White Empress Cocktail in their hands, guests will make their way to black lacquer dining tables, and take their seats at vibrant modern red Louis Ghost chairs. Table centres of willow branches will hold the dinner menus, delicately written in calligraphy on traditional red ‘new year’ envelopes. Complimented perfectly by a chilled Riesling Tradition Domaine Stenze Buecher, Alsace. Following dinner guests’ attention will turn to the stage where their evening will draw to a spectacular close with a display of traditional Chinese Pole acrobatics, from Sternberg Clark. If you’d like Gemma to inject a little of her unique creativity into your event and take it to the next level with some beautiful styling contact us today.